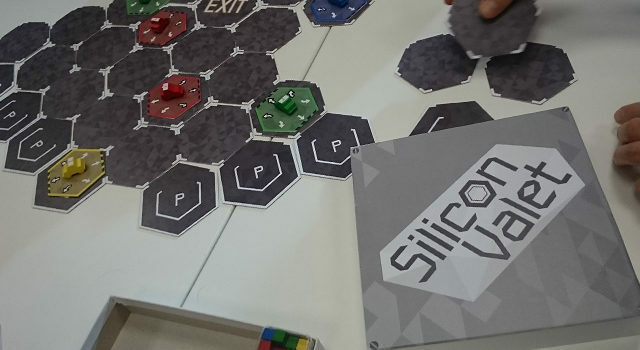 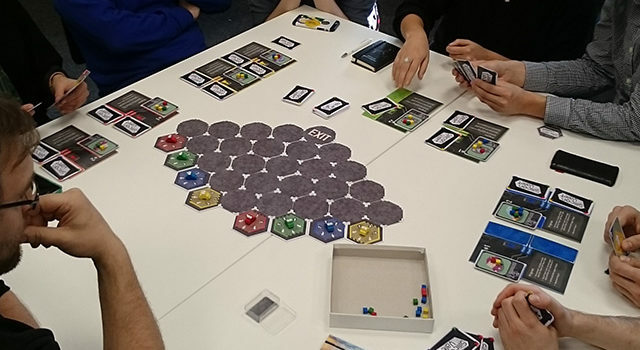 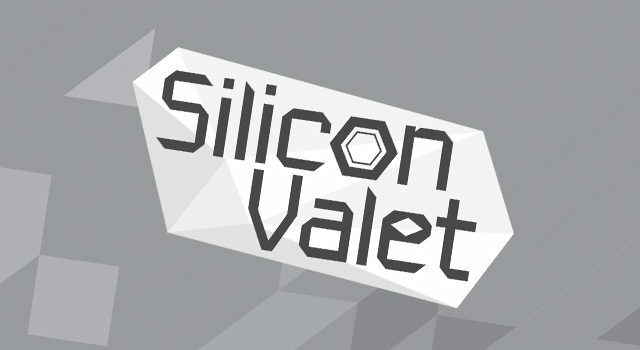 “Silicon Valet” is a competitive board game set in the future, where robots are able to drive cars. 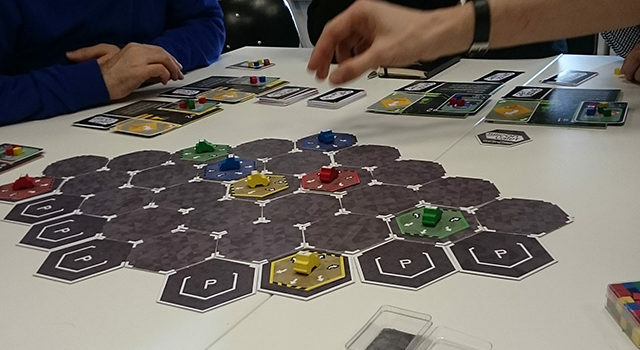 Players take the role of the programmers behind those robots. 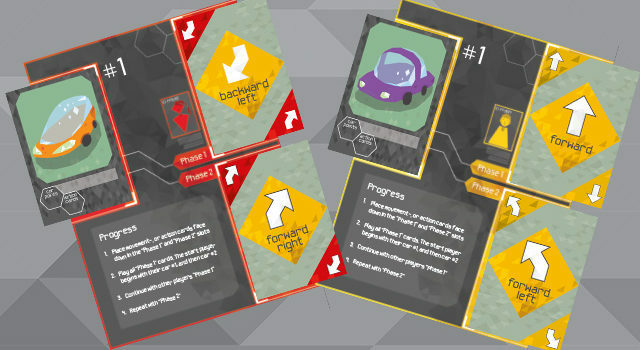 Since no player knows how the others are programming their robots, a lot of crashing and trashing cars is involved.